If a person sees signs or symptoms of nursing home neglect in Florida, is that person required by law to report the possible abuse to authorities? Under Florida law, individuals in certain professions are designated as “mandatory reporters.” We want to discuss a recent case with you and then clarify how Florida’s mandatory reporter law works when it comes to nursing home abuse and neglect. According to a recent report in the Sun Sentinel, fire rescue crews arrived at a nursing home after receiving a report that one of the residents needed to be transferred to the hospital. Inside, many other residents were suffering due to extreme heat. This incident occurred shortly after Hurricane Irma, when many facilities were without air conditioning. The crews responded to the nursing home first on a Monday, and then two more times on the two days that followed, but they did not force the facility to evacuate until that Wednesday. Twelve people inside the nursing home died after remaining in the facility for 62 hours in high temperatures. The state of Florida has moved to “revoke the nursing home’s license for neglect of the elderly,” alleging that “residents were exposed to increasingly excessive heat with fatal consequences.” The facility, the Rehabilitation Center at Hollywood Hills, reached 99 degrees after a lack of air condition inside the facility for several days. In total, fire rescue crews received calls to go to the nursing home five times in the week that followed Hurricane Irma. After arriving for the first four calls, the crews did not relocate residents. As the article underscores, it was not until the fifth call to the facility that any evacuation occurred. When asked why they did not evacuate the facility after recognizing the danger of the high temperatures, the fire rescue crew members indicated that on each of the calls prior to the evacuation, they were at the facility for only one patient on each call. One of the crew members said, “We don’t go into every room; we just went into that patient’s room.” On the second visit, the crews were informed that there was no air conditioning in the facility, and the crews even reported that information to the hospital where one patient was rushed. 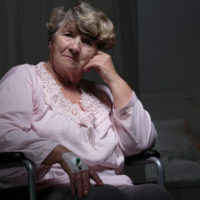 If you have concerns about nursing home abuse or neglect, you should reach out to a West Palm Beach nursing home neglect attorney as soon as possible. Contact Lesser Lesser Landy & Smith PLLC for more information.